And aerial view of Exeter with blue skys panning from left to right. 4k00:11Aerial view of Exeter featuring trees, resential homes and a blue sky with clouds. 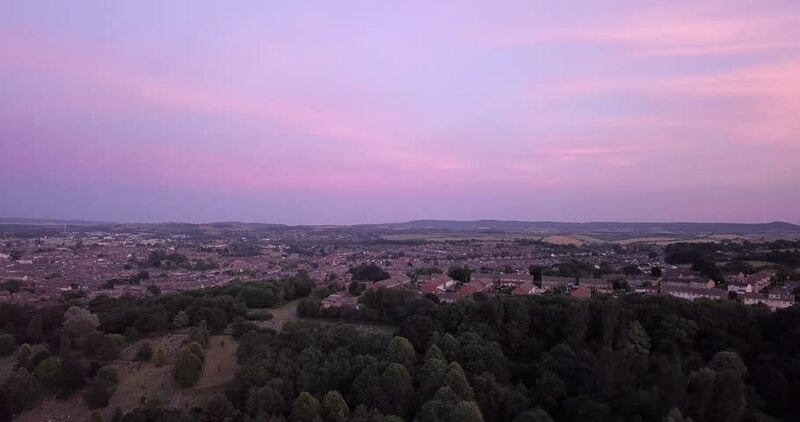 4k00:09Aerial shot, colourful sunset over the suburbs of Exeter, England. hd00:27San Fernando Valley mountain view day to night zooming time lapse on the edge of Los Angeles, California.